Fabulous News and a Giveaway!! Okay, I can't wait any longer to tell you my exciting news!! I was recently asked to join the Design Team for Crafter's Companion!!! What a total honor!! I was so thrilled to say yes and I can't wait to get started! 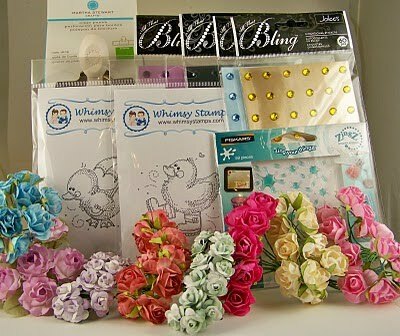 They are a fab company best known for their gorgeous stamps and for their awesome Ultimate Crafter's Companion Tool. They sell tons of other goodies too, everything from adhesives and paper to Stickles and Copics. I want as many of you as I can get to follow me over to their blog, so I was thinking I would have a giveaway to encourage you to go visit and become a follower!! Pretty soon there will be a ton of stuff going on over there and you are not going to want to miss out on the fun! There are 3 ways to get your name in the drawing to win my candy. First, to get one chance to win you just need to be a follower of mine and then go to the Crafter's Companion blog and become a follower. Second, you can post a link to this challenge on your blog. Third, you can post about it on Facebook and "like" them . You will just need to come back here and let me know which of these you have done. Post a comment for EACH thing you do! That is it! Easy as pie. This Crafter's Companion Giveaway starts today and ends March 31st. Winner will be drawn on March 31st. The winner will be posted on April 2, 2011. The winner will have until April 9, 2011 to email me their address. If you haven't sent me your address by that day I will choose a new winner. What do you win you ask???!?!!!! I went through my stash and found all this yummy goodness. But don't worry - I will be having a Blog Candy in April to celebrate my blogiversary and it will be open to everyone!! Cheryl is doing spring cleaning on her blog. And you could benefit from this because she is giving some of her stuff away. She is trying to reach 250 followers. So go check her blog out and enter to win. I have some big news!! Crafter's Companion is starting it's own challenge blog!! And I am on their Design Team!! I'm so happy to be invited to join in the fun!! It is this fabulous Fairyopolis Prize Package!! This is worth around $109.70!! 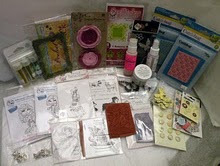 It includes a Complete Card Making Kit, Fairyopolis Triple Disc CD Set and all 4 of our Fairyopolis Clear Stamp Sets!!!!! These beautiful stamps will be launching in the USA on April 21. And you could be one of the first to own them. I also wanted to remind you that the Crafter's Companion Informational Blog is having a big giveaway which starts on April 1st also. You will definitely want to check back here on Friday for more information. 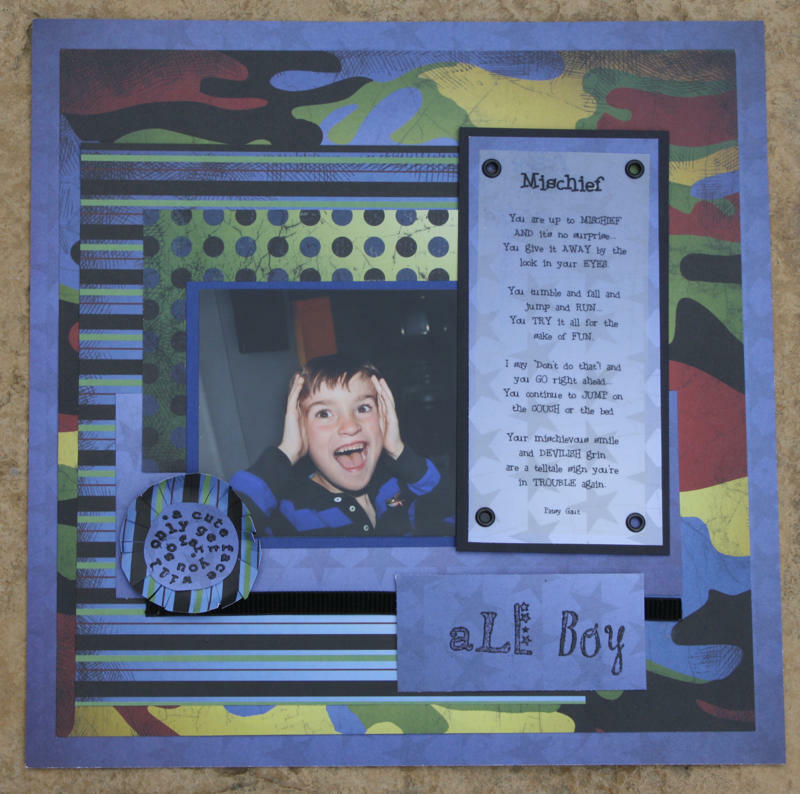 I wanted to share this card I made out of scraps leftover from a layout. This is the example card for my Sketches4all Stacy H-W's March 26th Card Challenge. 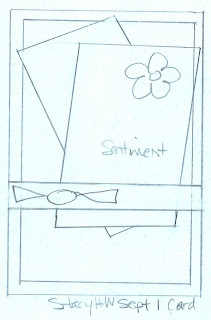 The challenge is to make a card using this sketch which I drew last September. You must also use black paper as your card base and add flowers. I am giving away a good RAK to the winner...so please come join in. I was inspired to start this challenge by the fun timed challenges that Denise and I have been doing lately. I couldn't figure out how to do the "timed" part but I could do the "pick 4 items out of a hat" part. So it will basically be a recipe challenge. I will post one every week and then draw a winner for a RAK at the end of the month. This challenge already started but I am waiting until the end of April to draw the first winner. Go check my first "recipe" out. Okay, enough from me. More tomorrow. Dawn at Dawn's Craft Place is having her 2nd blogaversary!! Congrats DAWN!! She is celebrating with candy. Go check her out and you will be happy you did. 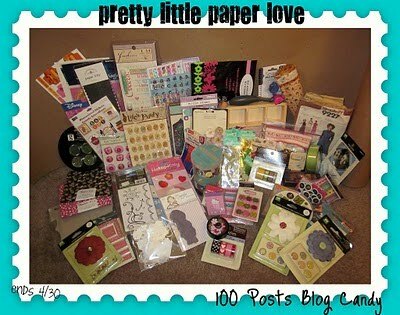 Mindy at Pretty Little Paper is having a blog candy giveaway to celebrate 100 posts. She is trying to get at least 75 new followers and if she does she will add MORE candy!! Go check her out! 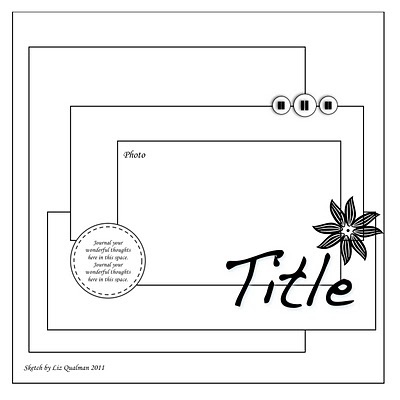 Here is my layout I just made during my timed challenge today with Denise. We are really digging these challenges!! 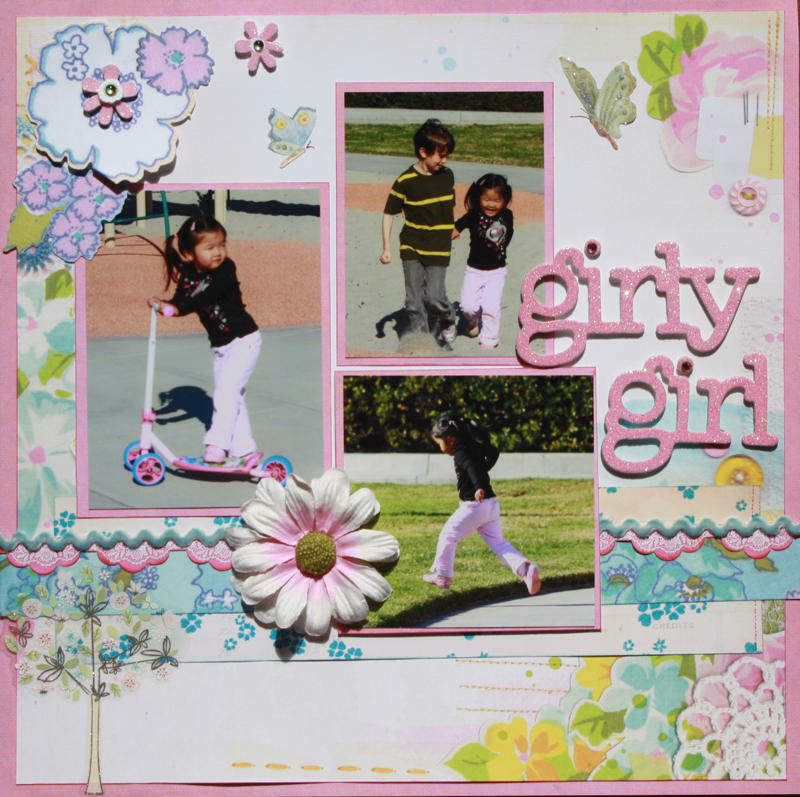 I used some fun Cosmo Cricket paper and stickers. I punched out the scallops with my circle punch and punched the scallops on the photo matting with an edge punch. I used some KI Memories Puffies bright flowers. I pulled some fibers from my stash and I fussy cut the bee out of my papers. And I inked the edges of the paper with some Cats Eye Ink. Here is also the pictures of Denise's layout with her dd. I love the soft, girlie paper she used!! 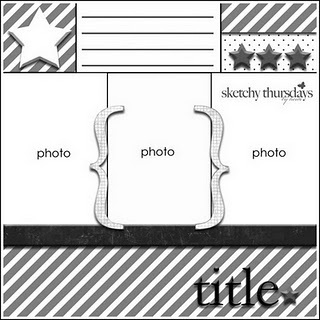 Isn't the sketch from Scraptivations great!!?? I am entering this in their challenge. We did the Tic Tac Toe challenge at The Paper Variety too! We did Spring Colors, 2+Flowers and Scallops. I'm also entering it in the Open Sketch challenge at Sketches in Thyme. That is the last one I can enter over there since 3 is the limit. I can't wait to do this again. Since I have so many pictures on this post already I will post about the cards I made with the scraps tomorrow. You guys should join in with us next time. It is really a ton of fun to do these timed challenges. And boy does it motivate me to keep scrapping. Hope you are having a blessed weekend!! Denise and I just finished up our second crazy challenge. Here is the layout of her ds that she made today. Isn't it great??!! Denise got to pick the sketch this time and she picked a super cool one from SketchyThursdays. That was so smart of her because now we can enter it into that challenge and have a chance to win the prize!! woo hoo! I also plan to enter it in the SketchesinThyme challenge. Their Open Sketch Challenge is to pick your own sketch. Paper blocking usually takes more time for me. Picking out the right papers, cutting the connecting blocks carefully...etc. etc. I used pictures that are of two of my son's biological sister. Mei mei means little sister in Chinese. Their biological mother is raising this sister and we were lucky to get pictures for the boys to have. My older son was thrilled to see this layout of his sister. We were only allowed to add: chipboard, distress (ink allowed), a quote and a white pen. I used paper from a GCD Studios pad I got at Big Lots and some chipboard from Scenic Route. 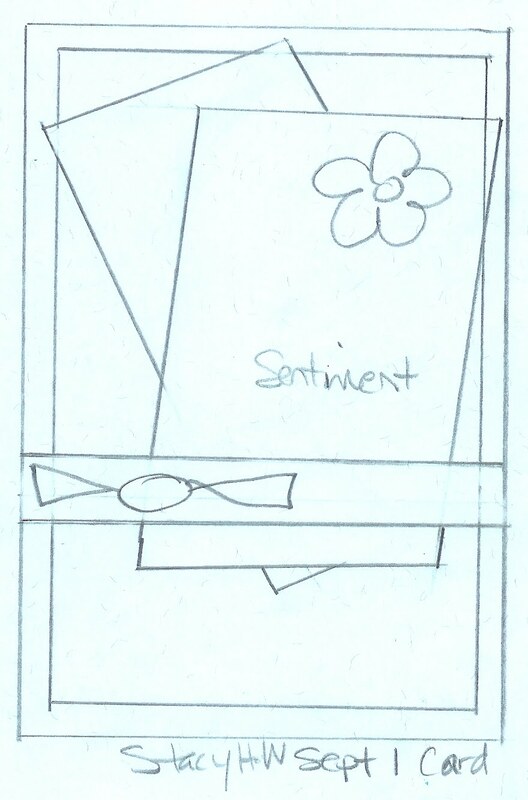 I inked up the chipboard letters and flowers and added white dots to the middle of the flowers with my white pen. Distressed the edges of the paper and inked them. And I printed out a quote onto my patterned paper. Voila! OMG! Look at the candy that Angela is giving away on her blog, Angelwood's Crafting Corner!! Can you say YUM?! You better go check it out right now!! You don't want to miss out on seeing all her awesome creations or on the chance to win all this goodness!! Now on to something else. Yesterday, I wrote a mile long post about the challenge that Denise and I did yesterday. Well we decided we had so much fun doing it we are going to do it again tomorrow (Saturday 3/26) at 11am pst. If you are interested in doing it with us - email me at Scrapwithstacy at gmail dot com and I will send you the info and the sketch. paper, photos, adhesive, punch and 4 different things drawn from a hat by my lovely 3 year old assistant. We would love to have a few more crazies join us in this friendly challenge. You will have to share your creation with us when you are done. 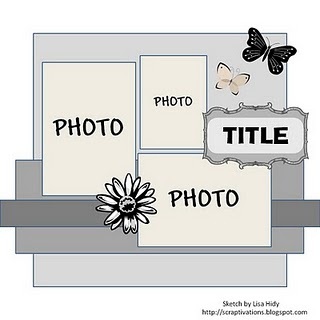 I finished a layout today but it is for a DT so you won't be seeing it for awhile. I do plan to scrap this weekend so I will have something fun to post tomorrow. Also, I have some exciting news coming up soon....so keep a lookout for that. I'm still looking for more blog friends who would like to send a birthday card to my friend, Debbie, who has MS and is turning 50 on April 3rd. I wish I had thought of doing this sooner so I could have posted about it earlier. Email me at scrapwithstacy at gmail dot com for the details if you would like to help me out. My BFF, Denise, and I decided to do a crazy challenge today. Well we decided to do it yesterday but didn't have time to do it yesterday so scheduled a time today to try to do it. I saw on someones blog the idea to do a self challenge of trying to get a layout done in 30 minutes. And since I'm stupid (!) I thought why not make it even harder by limiting myself to only using 4 things (besides the paper, adhesive and the photo). I wrote up a big list of things to use (like: ribbon, buttons, stamping, eyelets etc etc) and cut it into strips and folded them and put them in a bowl and had my 3 year old pick 4 of them. I told her the parameters of the challenge and said she could gather 1 photo and some paper and matching stuff that fit within our 4 things requirements. Denise was smart and gathered her stuff, got her photo ready and cleaned off her scrap space. But see...that's just not how I roll...(lol) I decided to go grocery shopping at 12:30pm today and rushed in the house, with a ton of groceries needing to be put up, at 1:30pm. (remember our challenge was starting at 1:45pm) And I also needed to put my daughter down for her nap. I rushed to my computer and shot off an email to Denise that had this Liz Qualman Berrylicious sketch attached. I begged her to give me a few more minutes and she was nice and did. I hadn't cleared my desk or picked out anything in advance. I rolled over to my computer and pulled up a picture of my dd and hit print. Rolled back to my scrap desk and started picking specific papers and cutting them. I was doing pretty well until I started to attach the vellum quote with the eyelets. I couldn't find the box that had my tool for attaching them. I have a Cropadile (the Big Bite) and have never learned how to use it...and initially couldn't figure out how to use it so I got my hammer out and was hammering the crap out of those eyelets!! LOL It worked but not very well. So I took a breathe and got some scrap paper and tried and tried until I figured out how to use that darn Cropadile. I guess I cheated by punching out the scalloped circle but I guess I was unclear that punches were against the rules. I did have fun fussy cutting that cute bird out of my patterned paper and I used pop dots to give it dimension. I used my new Ultimate Crafter's Companion Tool to do the dry embossing on the bottom of the yellow paper. Denise and I both accused the other of cheating! I said, "hey you can't stamp and where is your embossing?!"! She said, "I didn't cheat, I embossed it all!" And she said, "hey, you can't use embellies (refering to my bird), you can't use a punch (oops) and you can't stamp! (I didn't)"
I'm not sure it was the most fun challenge (because oh my gosh THE STRESS!) but good golly it sure got my heart rate up!!! LOL I actually really liked doing it! And want to do it again. I think next time we need to give ourselves 45 minutes and I think I need to prep beforehand! It turned out okay though didn't it??! And Denise's Blue Layout with her ds on it rocks too!! I'm going to enter this in the Open Sketch Challenge at Sketches In Thyme!! Okay that's it...my fun challenge I did today. I do hope you will read my post from yesterday about sending my friend who has MS a birthday card. I have been thrilled with the response I have gotten so far and would love to see more of you participate. You don't even have to make a card you can send a store bought one if you want. I would like to ask a favor of my followers. My friend, Debbie, has MS (Multiple Sclerosis). She has had a really hard life and has been living with this for a very long time with such a great spirit. She has been Oklahoma's M.S. Society top fundraiser repeatedly and still maintains her admirable wit and sense of humor. She is going to be turning 50 on April 3rd and I would love it if I could get some of my followers to send her a birthday card. That is all I need you to do. She would be so excited to get the cards and I would love to be able to do this for her. Please consider doing this (making/sending the card). Thanks!! I hope you are all having a great day so far. I had a crazy day Friday. My 9 year old dd was sick so I kept her home from school. My 3 year old dd doesn't go to school on Friday so she was home too. I have also been feeling sick so I decided to take the girls and go to the medi clinic and get us checked out. We went there and got in line. After awhile we were brought into the office. She started with me and ended up giving me 3 prescriptions and also some over the counter recommendations too. Then she took my daughter's temperature. Her temperature was almost 104 degree F!! GASP! She said she couldn't "see" my dd and had to refer us either to the ER or to her pediatrician. I got a call in to the pediatrician and they called back and set up an appointment for us. We went to her appointment and found out she has Flu A. (whatever that is) We then went back to the pharmacy and dropped off her prescription. They said it would be another hour before it was ready so we took my younger dd to get her hair cut while we waited. My little ones hair is very fine and was fairly long but when it wasn't in pony tails it looked like crazy hair. I had them cut it just below her ears. She cried the whole time so her pictures aren't very cute. We did finally make it home in time for the other kids to get home from school. Of course, the minute I got home the dog groomer called to say the dogs were finished being groomed. So I got to get back in my car and go get them. They looked great though. Here is a layout I started at CKC in Seattle and finally finished up. I entered it in a challenge at Sketches4all. Erin's Ribbon Challenge but it already ended on February 28th. I used pictures from a trip we took to Seaside, TX. We celebrated a special birthday of my mothers and our wedding anniversary. And the kids just had a blast swimming in the Gulf and playing in the sand. Our rental house had a hot tub on the deck overlooking the water and the kids "swam" in it every day and night. It was a fab trip! I also wanted to let you know that April 1st there will be another blog candy happening here on my blog for Crafter's Companion. They sent me some goodies to give away to you sooooo keep an eye out for that coming up. And I will be having a Blogiversary Giveaway starting in April too. My blog will be 1 year old May 1st!! So keep coming and visiting me....lots of goodies coming up! And I made a card last night for Fia's Color Combo Challenge at Sketches4all. I just loved the colors this time. They reminded me of Christmas (!) soooooo welcome to the Christmas card I made. It is a super simple card. Sometimes it is nice to just throw together something fun and easy. I'm pretty excited because I applied for a Copic Certification class here in Las Vegas in May and .....I got in!!! I can't wait. I'm hoping my bestie Denise will go too. I just love learning all the different aspects of the scrapping world! Don't forget to go check out Crafter's Companion today to see who Bindy picks to win the Luck Of The Irish Contest!! How are you planning to celebrate St. Patricks Day?? Mine is pretty tame since it is just me and the kids. Share your plans. I've been sick since last Friday and really haven't felt like doing anything at all. But last night I did sit down at my craft desk and make this card to share with you. I was playing around with my watercolor pencils. I was stamping out flowers for my children and showing them how to color them in with the pencils and then "paint" over them with a wet paint brush. We cut out our flowers and made cards and used them as embellies on the cards. Except for my "painted" flowers, I used all Doodlebug paper and embellies. I just love those bright, happy colors!! Funny thing happened yesterday, I was sitting in my office next to my 4 windows and heard a bird hit the window. I got up to go look and see if the bird was okay. When I looked outside I saw a huge Roadrunner (I believe that is what it was) on my window sill walking back and forth! It was as wide as my window and about 12 inches (or more) tall. It just kept walking from one window sill to the next. I was starting to get a little concerned because I had one of the windows open (!) but it never came that far over before it jumped up on the fence next to my windows and took off. It all happened so fast that I didn't think to get my camera out and take a picture. Sorry....it would have been cool. I never got my Crafter's Companion goodies in the mail last week. There was a shipping mess up and they were never even were sent but they were sent this week and hopefully I will get them by Saturday. Cross your fingers for me!! I am really dying to get busy and try everything!! They have so many new things coming out! It is so exciting! Starting in April, we will be posting creations every day and also there will be challenges and contests and prizes!! So plan to go check them out. Don't forget you only have 1 day left to enter Crafter's Companion's "Luck Of The Irish" contest!!! Bindy will pick a winner on Thursday, March 17th. All you need to do is email her your favorite technique and put "my technique" as the subject. Your technique doesn't have to be something complicated. It can be very simple. For every 10 emails Bindy will add product to the giveaway!! So get your email sent NOW!! What have you got to lose??!! There is a great candy giveaway at Life and Times of a 12x12 Addict!! There will be two candies given away so go check it out. It ends March 29th. Jacque has candy!! Go check it out at Jacque's Joie De Vivre. You will be happy you went to visit because her blog rocks!! Cricut for Beginners is having a giveaway and you don't have much time to enter! They are drawing a winner on March 17th. 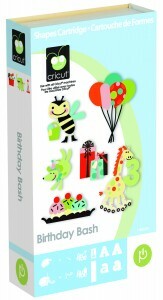 Here is what you can win...this Cricut Cartridge - Birthday Bash! YUM!! If you go enter and tell them I sent you I will give you a extra entry in my current blog candy too. So two chances to win something!! You have to do it before March 16th midnight.....and let me know you did it by leaving a comment here. I will be checking before I add your name to my blog candy giveaway. 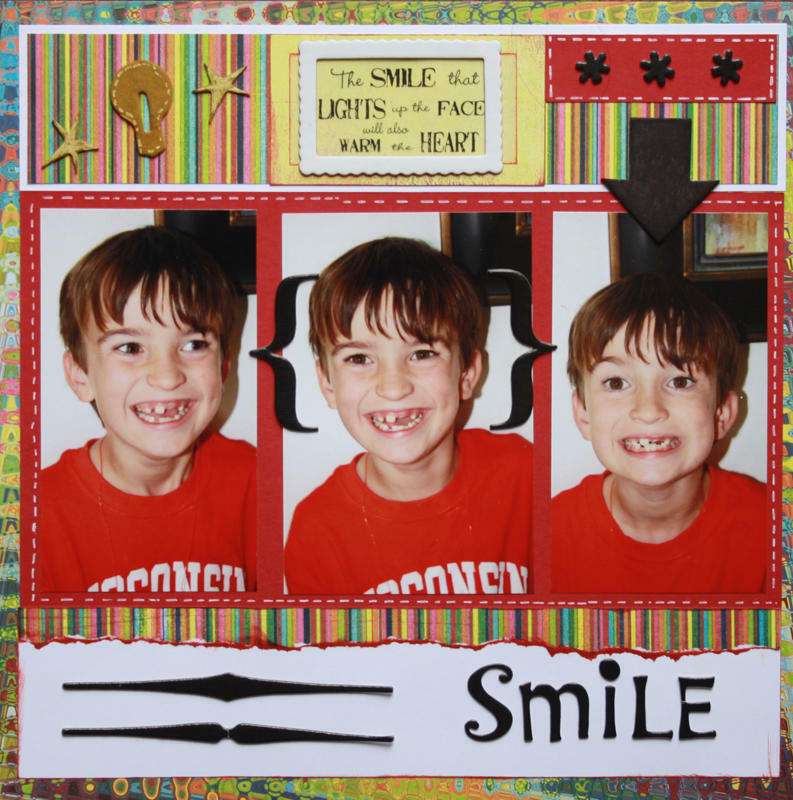 Fun Contest at Crafter's Companion!! !